The social network giant Facebook’s well-known instant messaging application, of course, I am talking about none other than the Facebook Messenger is one of the most used instant messaging application and it is normal for the Facebook Messenger to receive constant enhancements and new features for users. Hence, now according to the latest reports, the social network giant Facebook rolling out its all-new Messenger with extraordinary new features. 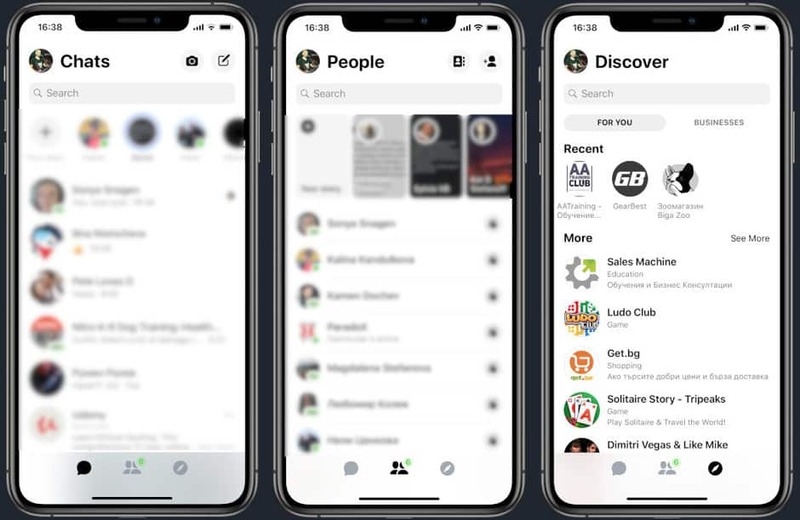 The social network giant Facebook’s Messenger app is finally taking its new design to a larger group of users. As the new update of the application was revealed by the social network giant Facebook in May 2018 and began to be made available in October with a very slow pace. 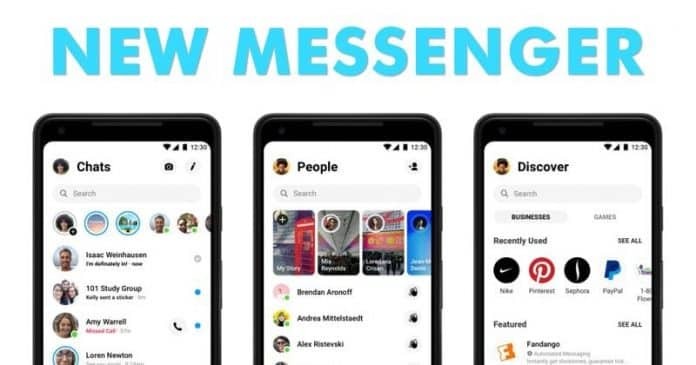 Now according to the social network giant Facebook’s Messenger team, the new look has not yet been released for everyone but it should happen in a short time. As the platform has already updated its screenshots in the Play Store and the App Store simply to highlight the new changes and interface. The purpose of this new Facebook Messenger is to deliver a simple user interface with a focus on the conversations only. The application has reduced the number of tabs from nine to three: Chats, People, and Discover. While the camera icon has now moved to the top of the screen and was paired with the option to create a new conversation. The application also allows you to choose from four gradient options for the message balloons, which changes its color as you move the scroll bar. However, the new interface of the all-new Facebook Messenger does not affect the old features of Messenger like polls, location sharing, games, and video chat. Yes, all these features are still present in the Facebook Messenger application. Moreover, the social network giant Facebook itself has stated earlier in October while announcing the new Messenger that “We believe that Messenger 4 brings the closeness and authenticity that people have been asking – through the simplicity of design and features that focus on messaging and connection”. So, what do you think about this? Simply share all your views and thoughts in the comment section below.